NEW YORK — It's the beauty aisles themselves getting makeovers now. 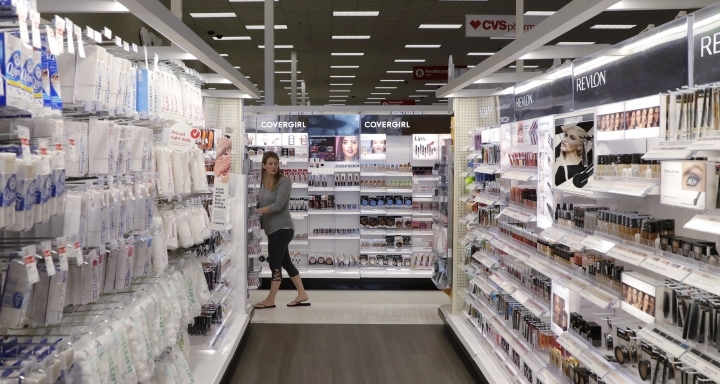 Department stores are being forced to rethink how they sell higher-end makeup and perfume as competition intensifies from discounters like Target, specialty chains like Sephora and Ulta and online brands. 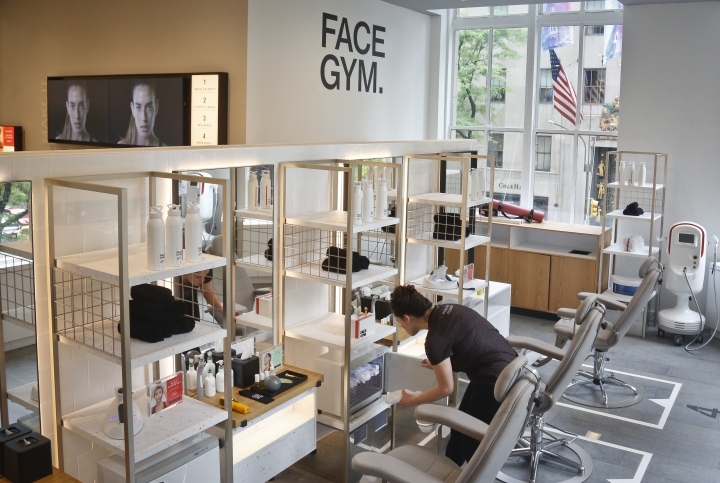 So stores like Saks and Macy's are promising workouts for your face, augmented reality and beauty treatment concierges as they try to attract millennial customers and make the cosmetics aisles more of a destination than a stopover. 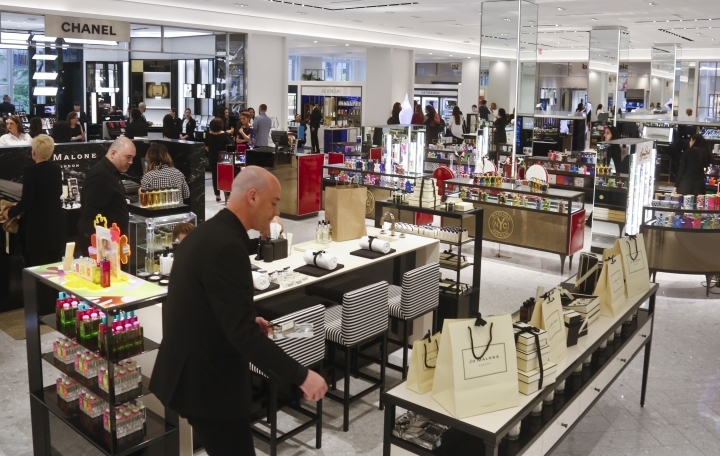 To expand its beauty area to the size of a typical grocery store, Saks Fifth Avenue's flagship location is even bumping cosmetics from its position near main-floor entrances to the second level, breaking from a century-old tradition in retailing. "Department stores have to reinvent themselves, and that's not an easy thing to do," said Larissa Jensen, an analyst at NPD Group, a market research firm. "Everyone has an eye on beauty. It's an area that consumers continue to be excited about." But shoppers are changing the way they buy beauty products, fueled by social media, the explosion of new trends and emerging brands. Customers want to experiment with products beyond the brands to which they're loyal. And with information online, they're more knowledgeable when they approach the cosmetics counter. 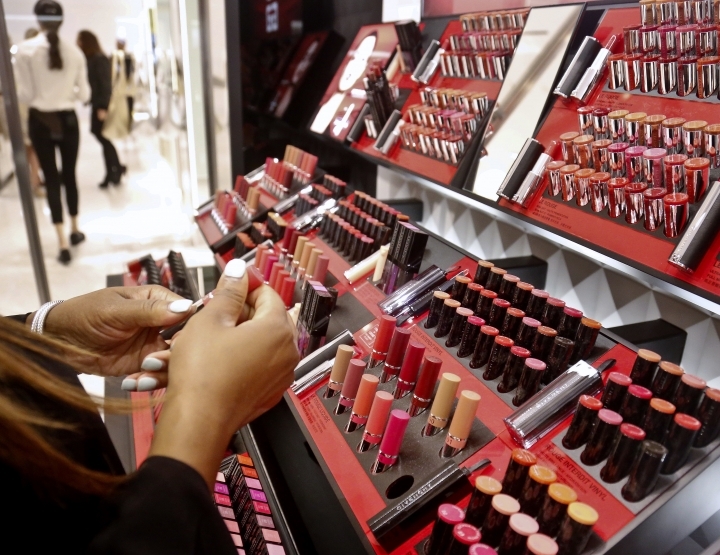 Specialty chains like Ulta and Sephora overtook department stores by share of the U.S. beauty and personal care market in 2009, according to research firm Euromonitor International. By last year the specialists had more than 15 percent of the market and department stores fell below 9 percent. Department stores, already trying to keep customers coming through the doors, are freshening up the face they present to shoppers. 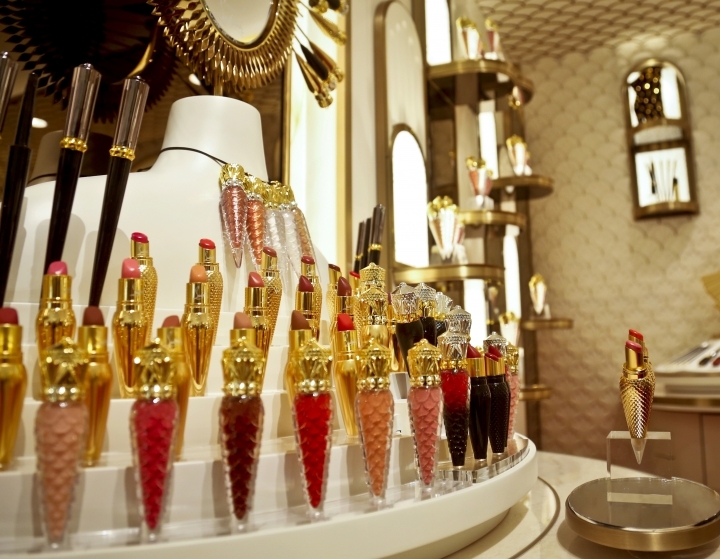 Saks Fifth Avenue has expanded the beauty section at its New York flagship by 40 percent to 32,000 square feet. It has 15 treatment rooms for services like getting your back fat frozen or workouts for your face to combat sagging. It offers complimentary services like mini-facials, with a concierge to greet customers and help book appointments. Meanwhile, Macy's is allowing shoppers to experiment more with products and letting beauty advisers step away from the counter to help them. It also has areas that focus on specific categories like mascaras or highlighters that include many brands. And it's featuring augmented reality technology in a cluster of stores for shoppers who want to experiment without trying everything out. Stores like Neiman Marcus and Nordstrom, meanwhile, are creating hubs of the latest trends and beauty products. J.C. Penney, still scarred by a disastrous makeover a few years ago, has been expanding its highly successful partnership with Sephora and will have those shops in 75 percent of its stores this year. "We are all thinking of new ways to innovate," said Nata Dvir, Macy's general business manager of beauty. 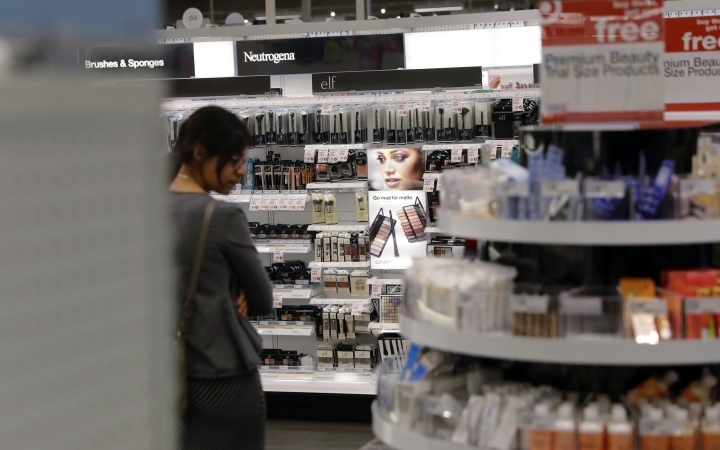 Sephora and Ulta had already shaken up the longtime pattern of shoppers going to department stores and talking to advisers for higher-end products or finding low-priced offerings at drug stores. 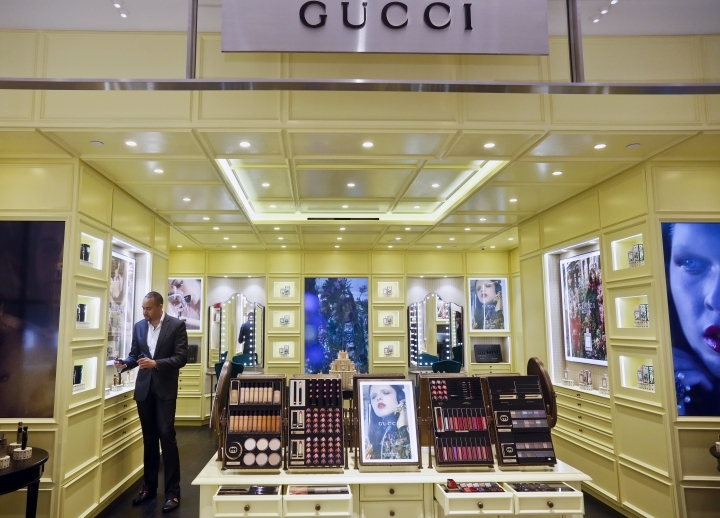 Both chains have expanded rapidly, multiplying the number of places shoppers can test makeup and get tutorials. And Sephora in particular has been ahead in adopting technology like using facial scans to find foundations and concealers to match a person's skin tone. It was the first beauty brand to adopt chatbots, according to research firm CB Insights. 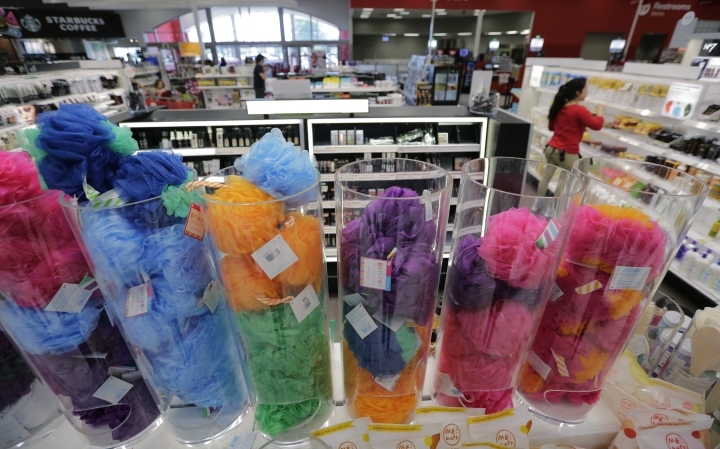 Their success has pushed discounters like Walmart and Target as well as drugstores like CVS to revamp their cosmetics areas with more open spaces, brighter lighting and more attractive fixtures. Discounters have also been working with suppliers to jump on new trends and get items in stores in a few months later instead of in a year. 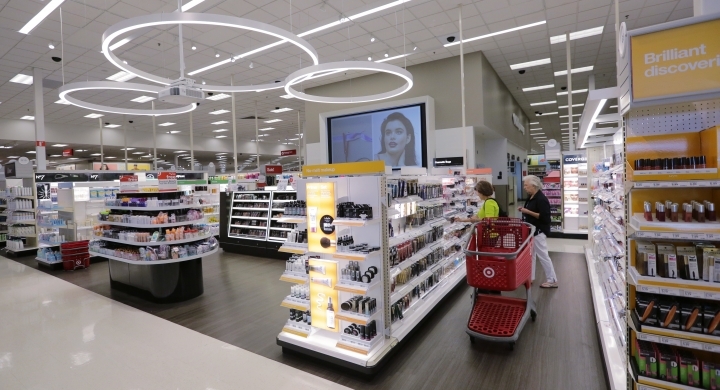 Target now has sales assistants who specialize in beauty, and will soon be launching a concierge service on its site that lets shoppers chat with experts and virtually try on makeup. Customers can also text a beauty expert, and at 10 stores they can try augmented reality technology. And online sites, such as Colourpop and Glambot, feature high-end brands at more affordable prices. 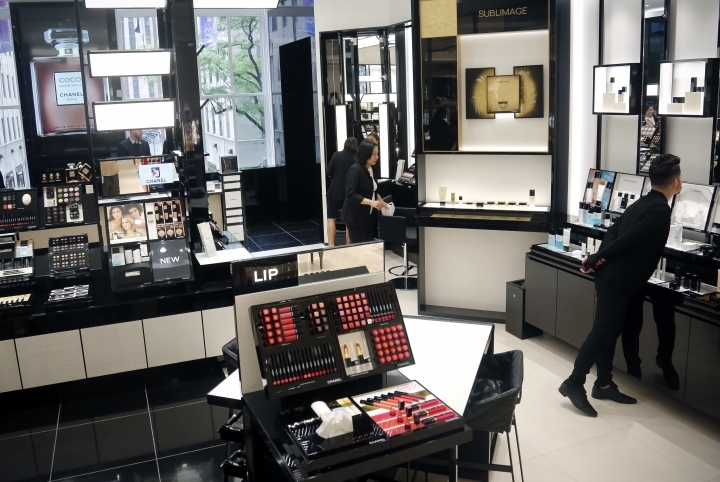 Against this competition, Saks Fifth Avenue aims to offers an over-the-top beauty experience, with large shops devoted to brands like Chanel and Gucci, something that hasn't been seen before in the beauty departments. It's a mix of technology and serious pampering. There's even a florist shop with matching fragrances. Much was made of the move away from the ground floor, but Saks Fifth Avenue president Marc Metrick says the new format is designed for someone who wants to spend time. "We really wanted to create an emotional connection with a customer," said Metrick.